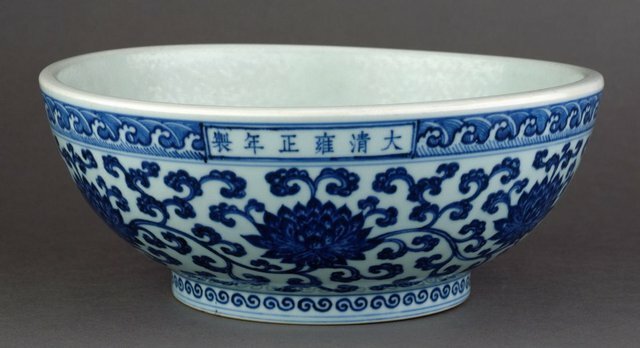 This is an 18th century copy of a well-known 15th century Ming type inexplicably known as a 'dice' bowl. It is heavily potted, being one centimetre thick at the top edge. The plain interior is much abraded, suggesting that the article has been properly used as a mortar.